Spring may bring April showers, May flowers, and out-of-towners to the Coastal Bend, but it also delivers a crop of plumbing-related concerns that can cause property damage and increase utility costs. The professionals at Drain King Plumbing, a family-owned Corpus Christi business, recently shared their expertise with Corpus Christi Business News regarding spring-related Coastal Bend plumbing issues. 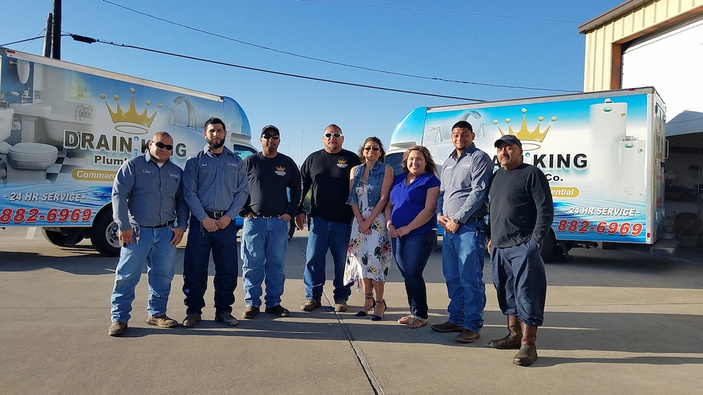 According to Abel Garcia, a Drain King journeyman plumber with more than 20 years’ experience in the field, many of the service calls during the spring and summer months are related to stoppages and water and gas leaks. 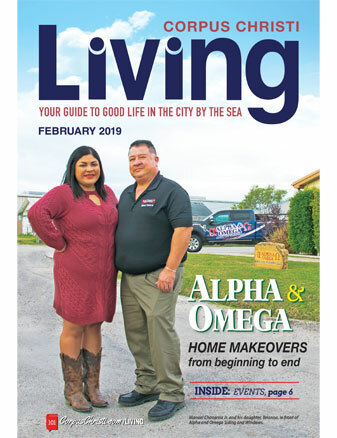 According to Garcia, another unique challenge for the Coastal Bend is the large influx of visitors drawn to the beaches and fishing, especially during the warmer months. Plumbing concerns apply to gas flow as well. As one of the plumbers who gets those calls, Garcia advises customers to check for abnormalities in their water and utilities bills, which can point to possible problems. The color of the grass outside can also be an indicator of trouble. According to Garcia, the experts at Drain King Plumbing offer a variety of services to address these springtime issues. The company offers line and drain cleaning, sewer line replacement, new gas service, video inspections, hydro-jet service, back-flow service, hydrostatic and isolation testing, water testing and plumbing underneath homes. stay up to date on the latest products and attend classes and demonstrations. Office manager Rosa Sanchez invites customers to take advantage of ongoing promotions. Drain King Plumbing is located at 4705 Neptune St. in Corpus Christi. Call (361) 882-6969 for more information.